China is home to a fifth of the worlds inhabitants. For the last several decades, this huge population has been in flux: fertility has fallen sharply, mortality has declined, and massive rural-to-urban migration is taking place. The state has played a direct role in these changes, seeing population control as an important part of its intention to modernize the country. In this insightful new work, Nancy E. Riley argues that Chinas population policies and outcomes are not simply imposed by the state onto an unresponsive citizenry, but have arisen from the social organization of China over the past sixty years. Riley demonstrates how Chinas population and population policy are intertwined and interact with other social and economic features. Riley also examines the unintended consequences of state directives, including the extraordinary number of missing girls, the rapid aging of the population, and an increase in inequality, particularly between rural and urban residents. Ultimately, Chinas demographic story has to be understood as a complex, multi-pieced phenomenon. This book will be essential reading for researchers and students of China and social demography, as well as non-specialists interested in the changing nature of Chinas population. "Nancy Riley has written one of the most informative, insightful, and engaging books on China’s population that I have ever read. It will be many years before we see a book dealing with China’s population that is as well-written, as lucid and as carefully researched." 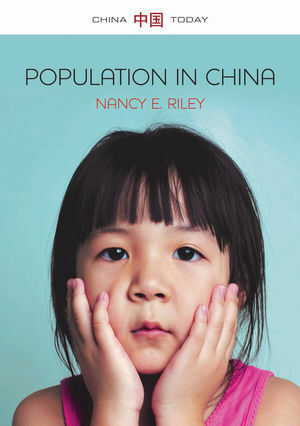 "In this important and eminently readable book, the noted China sociologist and demographer Nancy Riley steps back to tell the big-picture story of population in the People’s Republic. Brimming with sociological imagination, Riley’s book brings population to life and makes us see why it is so vital to an understanding of China today." "This compact monograph offers an intelligent and readable overview of China’s modern demography." "The detailed analysis of the social issues associated with birth control, migration, public health, gender and demographic changes reflects nuanced understanding of the social contexts of population in China. […] The vivid portrayal of lives of migrants, women, parents and workers makes the book widely accessible while maintaining academic rigour."